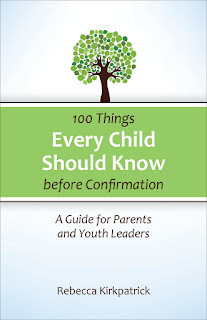 A few months after I compiled my list of 100 Things Every Child Should Know Before Confirmation, I brought it to my Christian Education Committee. I was nervous. I had already been serving there for several years, and had grown to value the way they shaped and built their Sunday School curriculum for children. Was it possible that it wasn’t working? We sat at that meeting and compared my list to the three year curriculum cycle we they had been using for almost nine years at that point. If the goal of our children’s Sunday school classes was to nurture them in preparation for Confirmation, then it looked like we were doing that. If a child attended EVERY Sunday over our 36 week program for three years, they would have mastered all of the items on my list. Well, we all knew that wasn’t happening. So began two conversations. One - how can we better equip parents to be their own child’s Christian Educator? Two - how can we shape our classroom curriculum and experiences to be more mindful of how we use each moment that we do have children at church to shape their experience and formation? When I originally blogged through this list, I didn’t spend a lot of time reflecting on this second question. My aim was to help parents feel equipped for this work. Equipping my congregation was a natural offshoot of the ongoing conversations and adjustments that we made together. But when I sat down to collect this list and these ideas together in a book, it seemed appropriate for each item to give tips on how we can use the classroom to teach these topics, to reinforce concepts, and even, in subtle ways, to prepare children to progress on their faith journey. Children learn how to use the Bible by actually using the Bible in the classroom. So resist the temptation to always ask ONE volunteer to look up and read that day’s story. They should all use a Bible every time they are learning about the Bible. Children learn the iconic pieces of scripture by hearing and reading them often. Choose which Psalms you want to make sure children know, and use them as opening and closing prayers in the classroom. Most parents do feel equipped to teach their children some of the most basic stories of the Bible (Noah’s Ark, Moses in the Bullrushes, etc.). So use children’s time in the classroom to dig more deeply into those stories or to encounter the stories surrounding them. A couple of months ago I participated in a large conversation with local faith leaders on how to develop resources to work with children on interfaith relationships and education. After the gathering one of the Christian Educators from another local Presbyterian Church approached me to talk about how she was using my book to help her Christian Education committee rethink their curriculum and Sunday school programs. They weren’t creating curriculum based on the book, but rather were using the book as a tool to think about what they want their programs to look like and how they are connecting the pieces in all the work that they do. Use the list (summarized in the appendix) to identify what your congregation’s essentials are. This is my list. It is not perfect, and there are many, many more things that I would want children to learn and know over the course of their Sunday school experience. Brainstorm together what YOUR list would be. The list is also a great way to talk with Sunday school teachers and volunteers about how the work that they do even on ONE Sunday morning impacts the larger picture of a child’s Christian education and journey. 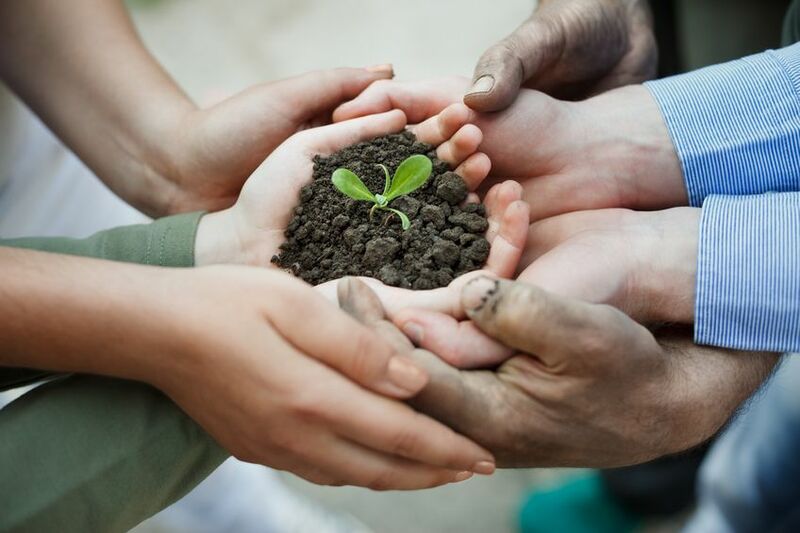 In a moment when we no longer have teachers in our congregations committing to a full year of teaching week after week, it is essential that teachers understand how they are connected to what is happening EACH Sunday in the classroom. The book can also serve as the framework for the resources and educational opportunities that you create for parents. 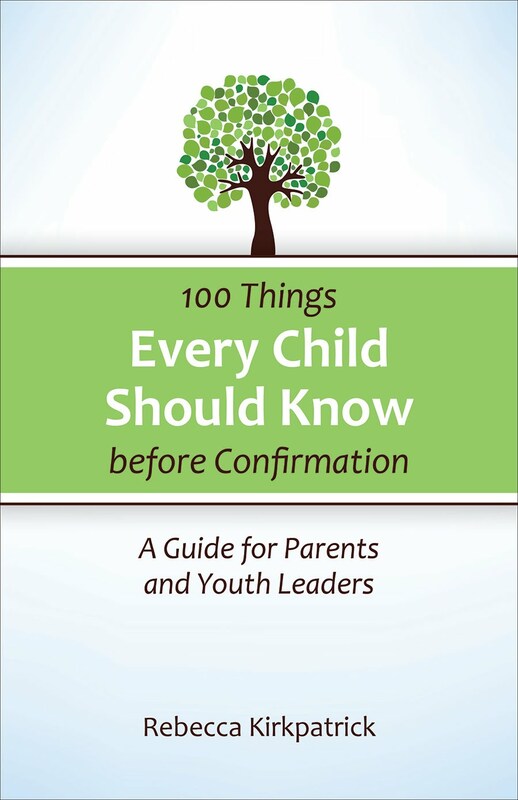 While it can feel overwhelming to think of all of the things that go into a well-rounded and holistic Christian education plan, walking through this book with parents is a great way to show them how equipped they already are to do this work. It has been fun hearing how folks have begun to use the book in their congregations. I would love to hear from more of you, especially if you have found interesting ways to use the suggestions in the book to impact the shape of your Sunday school curriculum. If you haven’t gotten your copy yet, or if you want to know more about the book and how it came to be, click here.